TIMING ISSUES! 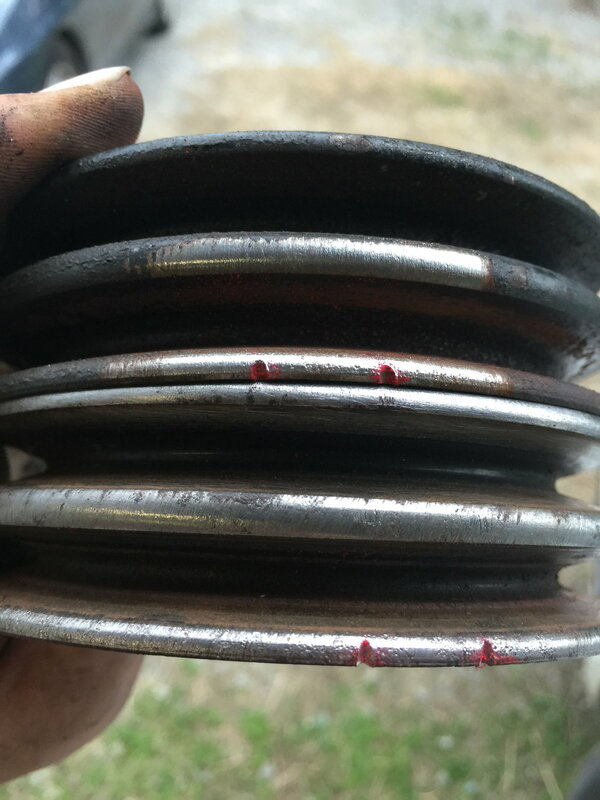 Switched pulleys, and the timing marks are totally different? anyway after that I set the trigger angle on the haltech to 65 and bam! timing was spot on. Best part? not 30 seconds later the car starts to run like **** again, I put the timing light on the L2 wire and NOTHING... half the damn coil pack is dead... the trailing pack is also dead, that died yesterday while I was watching it... so I need BOTH coil packs now. What haltech are you running? Have you looked into the ignition settings? WoW! I got absolutely Nothing out of this except alot of confusion! All I know, is my car(RoxY) was running when I took her apart. When I put the pulleys back on when it was time, I noticed the same/original pulleys would only go on one way. Otherwise the bolt holes would not line up correctly. I know my mazda book says the shaft key and timing point are supposed to be aligned with each other. Then the yellow timing mark should be at the timing point to set the timing. However, I see the yellow timing mark/notch is at a 90% right angle. There are different types of timing pulleys? Mine also has a -0 or just a 0 mark on the inside. Has anybody else had this? If you are an idiot and installed the CAS gear wrong side forward on the e-shaft, is there ANY way to get the timing right? I'm using a Haltech e6k on an S5 engine. is anyone locking the timing on the Haltech to set the timing? Well, I am setting the lock to -5, but since I put the gear on backwards, hunting for the yellow mark on the pulley results in stumbling and stalling. The engine runs ok about a half inch away (on the pulley) from the yellow mark. Once you set the correct trigger angle and the pin and marks line up,Unlock the timing. This Forum has a HALTECH Sub-Section..you may want to post in that section to get more specific answers. It's funny how your answer made the Australian guy's answer that much more clear. I'm still not sure why he advises to time the car with the fuel pump fuse off (it will run out of fuel before I even finish the process), but I totally get the overall process. Much appreciate your advice! It never occurred to me to change the trigger angle... I was so set on just keeping all ECU settings the same and playing around with the CAS.... need to look up once in a while, you know? Thanks again. I'm just relaying what I am going through too. I'm NOT 100% on the CAS thing but I am running an FFE trigger wheel.I have to adjust thr Crank angle Electronically through the Haltech settings. NOW,If you post this Same question up in the Haltech subsection there is a couple guys that are very Knowledgeable on this,especially the "king of the ring" C Ludwig,who sells Haltech so he is the "go to" guy up in that section. The Main reason why I bought my System was his expertise and quick responses for any problem I had. Nothing like selling a car and using ALL the Profits to buy an ECU,but that is what I did! Be careful. FC timing marks are at -5 and -20 degrees but there were older pullies that were at 0 and -15. If these get interchanged without knowing this, it can be a nightmare. RB pullies are marked at 0, -10, -20, and -30. I went through this today. I know this is an old thread but its information none the less. 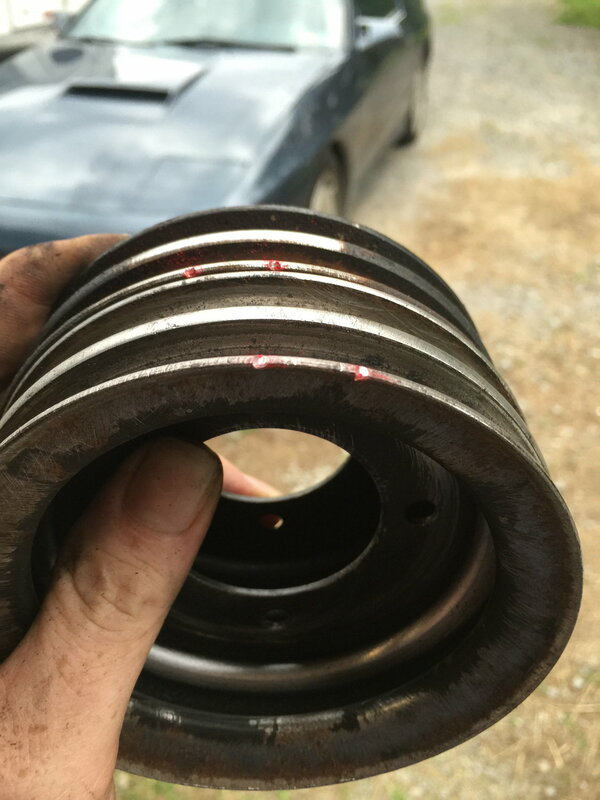 I did not think my S4 NA pulley had notches. I hit it with a wire brush and whalha! Notches! Anyway the s4 na and s4 TII pulleys are different, the TII is off an 88.5 model. Last edited by Reddon; 05-27-15 at 07:23 PM. the T2 and Na pulleys have the same part numbers, but they come as an assembly. so apparently the pieces can be different, but a matching set will be correct. I can't stress enough to NEVER SWAP PULLEYS BETWEEN HUBS OR HUBS BETWEEN PULLEYS. 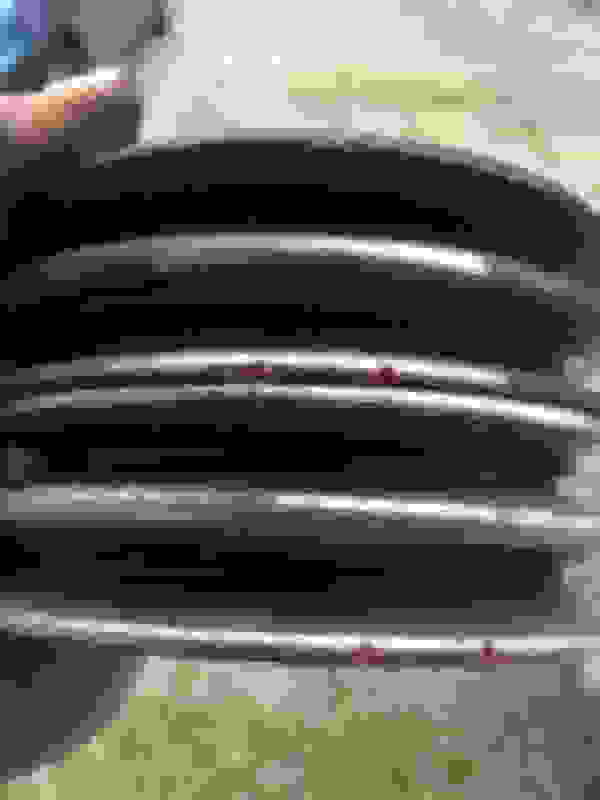 It seems that they are drilled as a set from the factory, or drilled in batches, or something like that. Because there is NO GUARANTEE that one S4 NA pulley will bolt up in the same position as another S4 NA pulley, or S5 to S5, or whatever. Mixing and matching is a recipe for confusion or disaster. If in doubt, verify timing by lining up the engine and comparing it to the pulley. 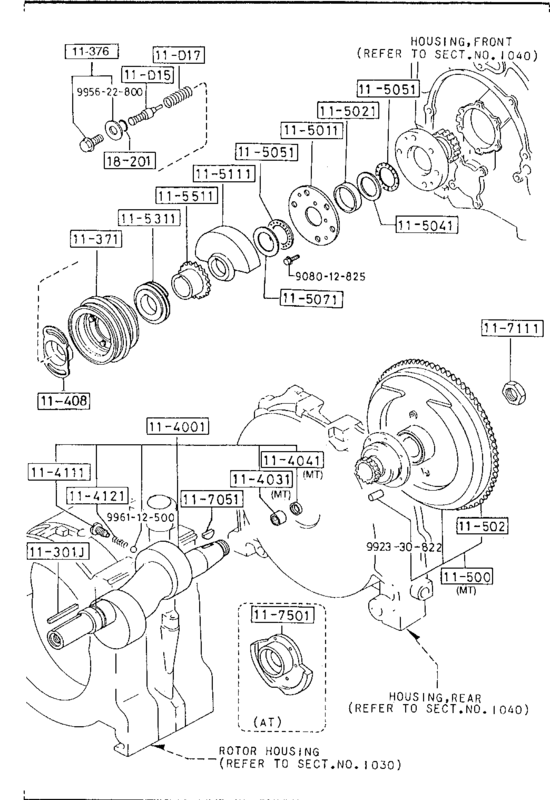 Or buy a pulley/hub set from Mazda. I like the really old pulley/hubs where the pulley was riveted to the hub. how are we supposed to tune timing on a rotary? New guys first rotary rebuild. Quick Reply: TIMING ISSUES! Switched pulleys, and the timing marks are totally different?